The weather is supposed to be beautiful today... over 80 degrees and sunny. But when I look outside, all I see is a dark, cloudy sky. I asked Martha to come early so that we could work with The Prince a bit after Mirabella's lesson and so she could check out the new barn we built for the geldings in the back pasture. I was so looking forward to spending the first half of the day in the sunshine with Martha. We have been working on a list about Willow- everything she tried to teach us - so I thought we could finalize the list today. But Martha just called. I knew something was wrong right when I heard her voice. "It's Ada," she said... "She's down in the field, just like Alice was... and she's struggling. We are going to have to put her down..." Poor, sweet old Ada... what a beautiful soul. And was always so grateful that she was a faithful friend to Willow while she was at Martha's farm. I hated to hear that she was down and that she had probably broken her shoulder... just like Willow had. So sorry to hear about dear Ada. Oh Shana, praying for peace for all of you. As I'm reading your post, the song Forever Young by the Canadian Tenors is playing in the background and it's making me think of these precious horses, Willow, Alice, and Ada. They are now perfect without any pain....and they are all together, running and throwing their heads high. Big hugs to you. Here is the link to the song Forever Young on You Tube. I think you will enjoy it. I'm so very sorry...will say a prayer for peace and comfort for all involved. Horses are so precious. So much heartbreak, but the 3 chums are together now. Think what fun they are having, Ada and Alice young again and Willow free from pain, galloping amongst the fluffy clouds. Martha sounds like an amazing woman with such incredible strength. 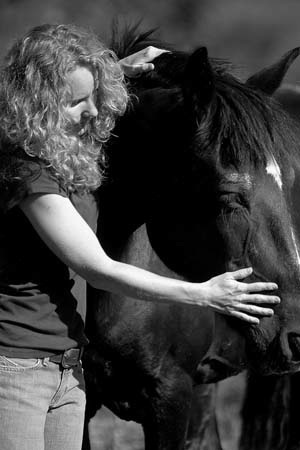 I am so glad that she is there for the horses that are lucky enough to cross over into her path. Very sorry to hear this news, especially on the one month anniversary of Willow's passing. Thoughts and prayers to all of you. I hope that the Prince and Mirabella are able to bring a few smiles your way. Although one soul will never replace another soul that ended their journey here on earth, it is nice to see the circle of life and love continue.